You may use your laptop for study, work or even just to catch up on Facebook? 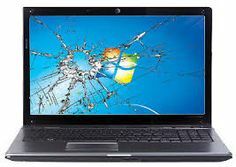 No matter what you use your laptop for they are not in-destructable and a simple slip can cause all sorts of damage to any part of the device. Or maybe you haven’t got a problem with the cosmetic side but it has got slower, less productive and seems to be not working how it should? Our electronic devices have become more and more important over the years and the laptops that we use have moved forwards very quickly so that if you brought it yesterday you can bet that there is a newer version on the shelf in less than a month. So if you have a slow laptop or a broken laptop you are probably here looking for it to be repaired in someway? Well here at Pratts Pods we offer an enviable service that will see us repair any issues and even help you improve your laptops functionality so that it is slicker, faster and meaner going forwards. With professional technicians with over 20 years of experience and a wealth of very happy customers you can see why we have fast become the company that people use for laptop repairs.